Do you have a list of things that you want to do in life, but you're not sure you will ever find the time or money? How about something a little less serious—a paracording bucket list? 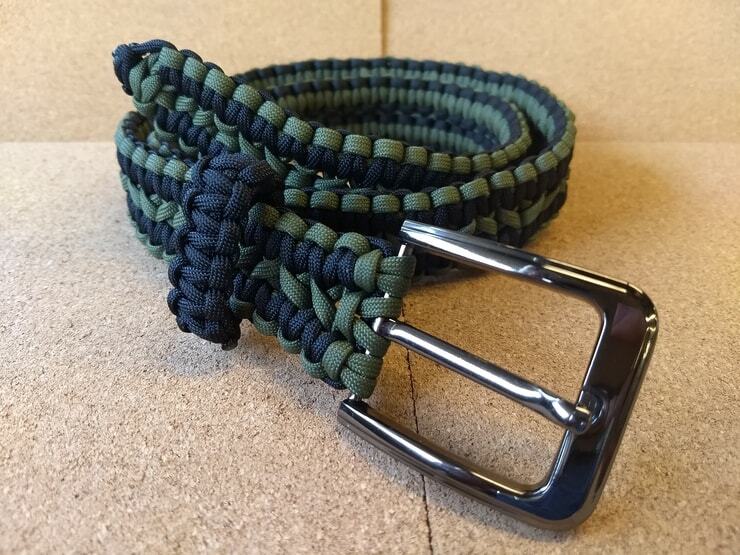 As I've grown in my paracord crafting skills, I've developed a mental list of concepts I want to tackle. If you don't already have a list of skills you want to develop, maybe it's time to make one. Here's my list. A few of them I've already checked off. 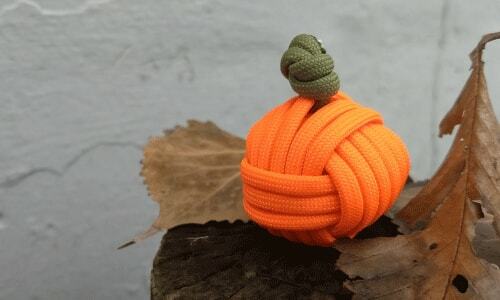 When I first started crafting with paracord, I felt so accomplished after I figured out the monkey fist. 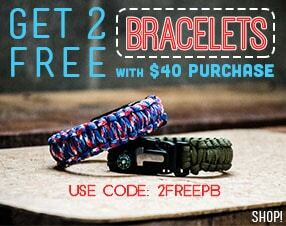 I began putting them on cobra bracelets as part of a button-and-loop closure. At the time, I thought they were one of the hardest knots, and now they have become a staple. Here's one I made recently for a tutorial. The Turk's head was one of the first bracelet weaves that I learned. A friend of mine passed on the skill to me after learning how in a sailing class. 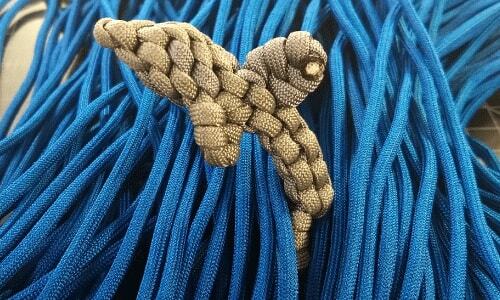 As most paracord crafters know, there are many varieties of the Turk's head knot. Now I want to adapt the knot for use as a handle wrap for a hiking stick or a hand tool. After all, providing grips and labels to handles are some of the Turk Head's original uses. 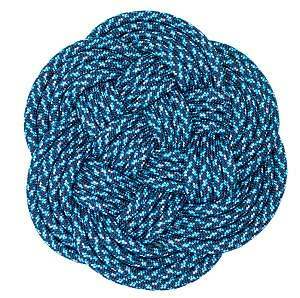 These intricate coasters and decorative mats look great when made of natural fiber rope or climbing rope. I am planning on making a couple of nautical themed Turk head mats to hang on my bathroom wall as part of an upcoming renovation. As is the case with many things in life, certain bracelet weaves look much harder to make than they actually are. This still look hard. I want to make something like in these videos. I would probably make mine out of smaller cord so that it wouldn't weigh my arm down with 5 lbs. 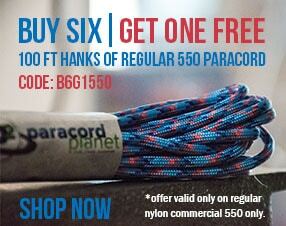 of paracord. This I have not attempted. It looks like a lot of work, but the 3-D texture is amazing. Look up "triaxial weave" or "Qbert weave" if you haven't seen these before. I love that pattern! I've seen a few paracord backpacks that look impressive. I am not sure I want to take on such a big project yet. I have to learn how to crochet first anyway. These backpacks can easily use a couple 100ft. spools of paracord. These look like a cross between a Turk's head and a monkey fist. 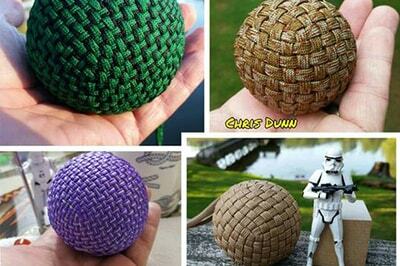 Some of our very talented followers on Facebook have constructed complex globe knots around large sphere and square cores. Eventually I'll get to these! I've been keeping my eye out for wicker-top stools on Craigslist lately. 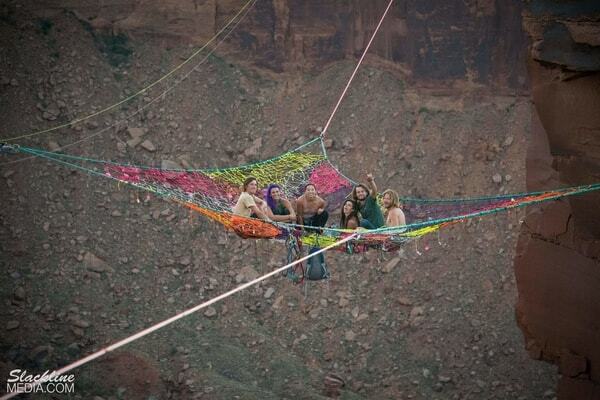 I have seen pictures of them reupholstered with paracord or climbing rope and they look amazing! Like this video, but with paracord. What's on YOUR paracord bucket list? Are there things you want to make or do that seem out of reach? Let us know in the comments! Also, let us know which items in this list you have already made. Picture proof is even better!